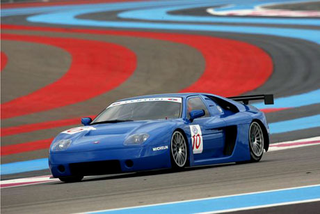 Ladies and Gentlemen, I give you the French made, Audi powered, Venturi Atlantique Heritage GT3 car. Apparently these things were in production from 1991 to 2000 and originally came with a not Audi NA or bi-turbo V6 (still wouldn't stop it's GT3 form from racing in TUSC GTE). Anyway what I find amazing is that it made it's GT3 debut in 2006. Yes people, some one thought a 6 year old, not race tested, boutique sports car would be a good base for GT3 car. Yeah, I have a feeling who ever fielded it wished they just got a 997 like everyone else.